If you’ve ever heard me discuss nutrition, you’ve heard me caution against a “clean and dirty/good and bad” outlook on food. You’ve heard me say there are no “bad” foods that measurably harm you or your goals if consumed, regardless of the frequency of their consumption, their dose consumed, or the composition of the rest of your diet. You’ve hopefully heard me say there is only such a thing as a bad diet, not a bad food. Not to beat a dead horse but, I truly can’t emphasize enough that your mind-set and outlook are the true key nutritional ingredients that will help you reach your goals. One popular method to stepping away from the ‘clean and dirty’ approach to diet setup, is IIFYM (if it fits your macros). Certainly, this approach gets you away from strict food lists and shines the light on energy balance as the key to weight loss. However, it doesn’t do much to highlight the potential, objective physiological harm in a ‘good vs bad food’ approach…and it also places a little too much emphasis solely on macronutrients. The crux of my ‘inclusive push’, is that we must make sure we include foods high in micronutrients rather than trying to exclude foods that aren’t high in them. This “inclusive vs exclusive” mind-set is especially important while dieting. When you are eating less food, you will also be eating fewer micronutrients. Many popular diets, even ones that sound like they have adequate variety and inclusion of various micronutrient-dense foods surprisingly, are micronutrient deficient . More relevant to the 3DMJ readership, the traditional approach to dieting, popularized by bodybuilders, of focusing on “clean” foods and avoiding “dirty” foods, which supposedly increases the micronutrient density of a diet, can often in fact be so restrictive as to leave out key nutrients and result in micronutrient deficiencies [2-6]. Typically, you will hear the argument that the strict food lists used by bodybuilders are simply not needed, and can lead to the diet being unnecessarily gruelling. Let me go beyond that, what I’m saying is that when the bodybuilder mind-set of ‘leaving no stone unturned’ and ‘optimize everything’, is applied to nutrition in such a way that all ‘sub-optimal foods’ are banned, the consequences can be poorer performance not better! As a bodybuilder and bodybuilding coach, I know that many bodybuilders laugh at a gruelling diet (and deep down to some degree actually enjoy the diet the harder it is). Since the “why make it harder?” argument can fall on deaf ears, let me explain why strict approaches can be sub optimal. The five deficiencies most consistently reported by dieting bodybuilders from surveys in the 1980’s and 1990’s were vitamin D, calcium, zinc, magnesium, and iron . So? Well sometimes, these deficiencies can have significant impacts related to body composition and performance. For example, zinc deficiencies can result in down regulation of thyroid to the point where energy expenditure is substantially reduced. In one case study, one subject increased their resting metabolic rate (RMR) by 194 kcals after 4 months of supplementing with zinc, and the other subject increased RMR by a whopping 527 kcals after supplementing with zinc for 2 months . This is a real-life example of the potential consequences of being “exclusive” in your approach to food source selection versus “inclusive” like I recommend. Another example of when a micronutrient deficiency can negatively affect your progress is iron, which is an especially common deficiency in female athletes (even more so when energy restricted). In one study on a group of female volleyball players who were supplemented with iron, it was found that during strength testing the iron-supplemented group displayed greater total strength across a range of barbell lifts compared to the control group that did not receive iron supplementation . Clearly, in some cases correcting a deficiency during dieting can be incredibly important for success. Calcium is another common deficiency and is required in relatively large amounts. Consuming dairy on a diet can fix this issue; and low fat, low carb, high protein Greek yogurts can be fit into diets that are low in calories, fat or carbs, and are a great way to prevent deficiency. However, for those who don’t have access to this type of Greek yogurt in their location, or have a specific reason that precludes dairy consumption, calcium supplementation may be something to consider. • Zinc deficiencies can negatively impact your metabolism. • Iron deficiencies can negatively impact strength. • Calcium deficiencies can negatively impact bone health. Deficiencies can have a significant impact on health, performance, and potentially diet-success if unchecked. A diet with good variety can cover these bases, but as calories and macronutrients get lower, it will be harder and harder to prevent micronutrient deficiencies. In addition to maintaining green veggie and a variety of fruit consumption, I would advise maintaining dairy and red meat consumption (lean with fat trimmed can fit into almost any diet) to ensure adequate zinc, magnesium and iron intake. Getting regular sun exposure (outside, not through windows ) will ensure adequate vitamin D levels while dieting as well. For those who don’t eat meat, or red meat specifically, or dairy, supplementation may be something to consider, especially when dieting. 1. Calton, J., Prevalence of micronutrient deficiency in popular diet plans. Journal of the International Society of Sports Nutrition, 2010. 7(1): p. 24. 2. Sandoval, W.M. and V.H. Heyward, Food selection patterns of bodybuilders. Int J Sport Nutr, 1991. 1(1): p. 61-8. 3. Sandoval, W.M., V.H. Heyward, and T.M. Lyons, Comparison of body composition, exercise and nutritional profiles of female and male body builders at competition. J Sports Med Phys Fitness, 1989. 29(1): p. 63-70. 4. Walberg-Rankin, J., C.E. Edmonds, and F.C. Gwazdauskas, Diet and weight changes of female bodybuilders before and after competition. Int J Sport Nutr, 1993. 3(1): p. 87-102. 5. Bazzarre, T.L., S.M. Kleiner, and M.D. 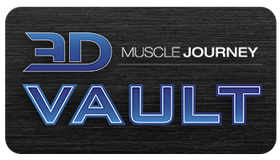 Litchford, Nutrient intake, body fat, and lipid profiles of competitive male and female bodybuilders. Journal of the American College of Nutrition, 1990. 9(2): p. 136-42. 6. Kleiner, S.M., T.L. Bazzarre, and B.E. Ainsworth, Nutritional status of nationally ranked elite bodybuilders. International Journal of Sport Nutrition, 1994. 4(1): p. 54-69. 7. Helms, E.R., A.A. Aragon, and P.J. Fitschen, Evidence-based recommendations for natural bodybuilding contest preparation: nutrition and supplementation. Journal of the International Society of Sports Nutrition, 2014. 11(1): p. 20. 8. Maxwell, C. and S.L. Volpe, Effect of zinc supplementation on thyroid hormone function. A case study of two college females. Ann Nutr Metab, 2007. 51(2): p. 188-94. 9. Mielgo-Ayuso, J., et al., Iron supplementation prevents a decline in iron stores and enhances strength performance in elite female volleyball players during the competitive season. Appl Physiol Nutr Metab, 2015. 40(6): p. 615-22. 10. Ginde, A.A., et al., Association between serum 25-hydroxyvitamin d level and upper respiratory tract infection in the third national health and nutrition examination survey. Archives of Internal Medicine, 2009. 169(4): p. 384-390. 11. Godar, D.E., R.J. Landry, and A.D. Lucas, Increased UVA exposures and decreased cutaneous Vitamin D(3) levels may be responsible for the increasing incidence of melanoma. Med Hypotheses, 2009. 72(4): p. 434-43.